The Tor Tiv, Prof. James Ayatse has called on local government authorities in Benue to work with traditional institutions in massive mobilisation of eligible voters to participate in the ongoing Continuous Voter Registration exercise. The monarch made the call in statement, signed by his Special Assistant on Media, Mr Freddie Adamgbe and made available to the Newsmen on Monday in Makurdi. He said it was imperative for eligible voters to obtain their Permanent Voter Cards (PVCs) to avoid being disenfranchised. Ayatse said it was important for local government authorities to work closely with traditional rulers to encourage eligible voters obtain their PVCs and national identity cards. The Tor Tiv urged other traditional rulers in Benue to be neutral and non-partisan during the 2019 general elections. The monarch said and endowment fund for the Tiv nation, to be known as `Ayatutu Ka Se Foundation’, would be established for the development of the area. He therefore urged all Tiv people to donate to the foundation, which would be registered soon. 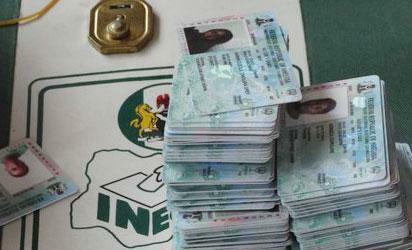 The post Tor Tiv tasks subjects on PVCs, National ID cards appeared first on Vanguard News.